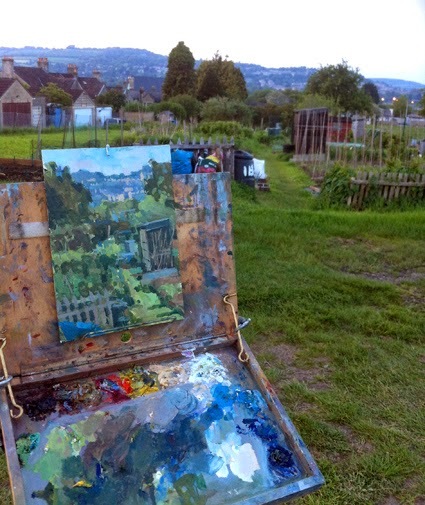 Here are a couple more paintings from the allotments near my house in Bath. I made the most of the long sunny days and went there in the evening (when I was off baby duty!). 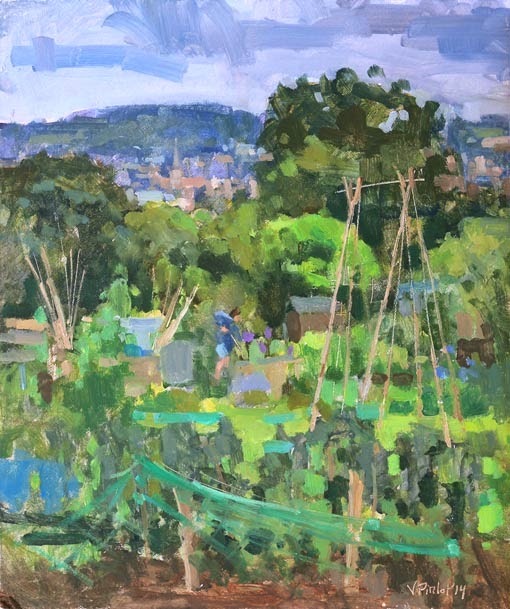 I enjoyed very much the beautiful views and the calm of the allotments, with only a handful of people working on their plot, probably as they returned from work. 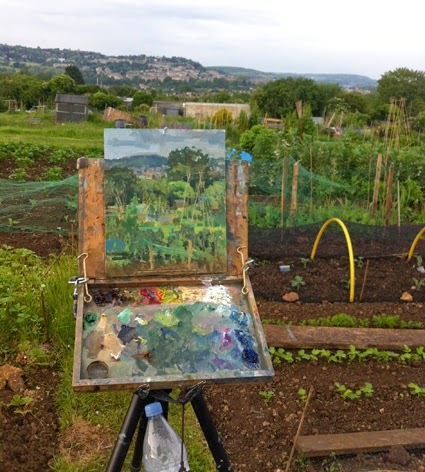 Funnily enough, several people asked me if I was planning to get a plot myself, thinking I was doing a sketch of where I would plant my carrots and tomatoes! 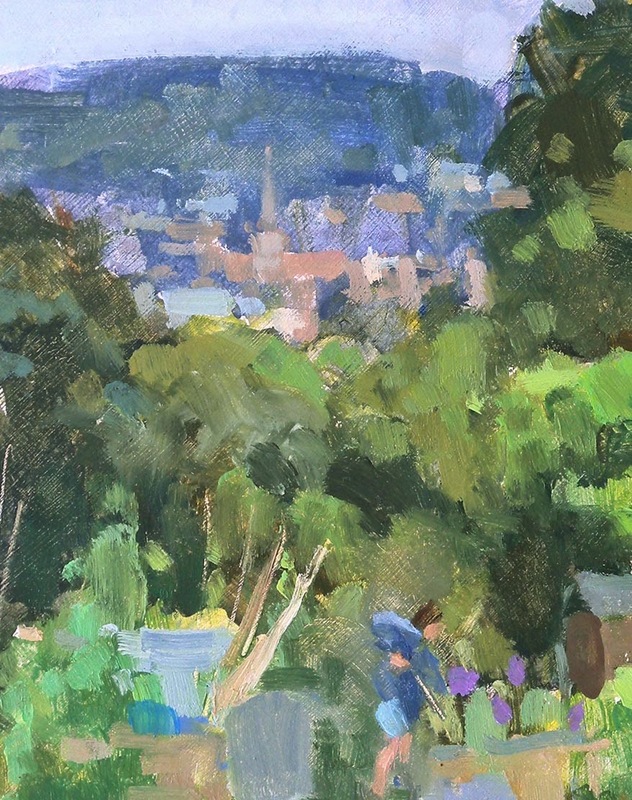 I returned a few days later on a cloudy day and painted this scene below. The rain paid us a visit half way through the painting and I ended up holding an umbrella to save my master piece. 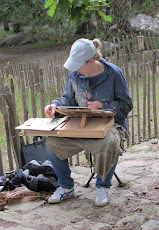 Hats off to the lady in the painting who worked relentlessly on her plot and didn't seem bothered by the rain at all. I kept thinking to myself "if she's still here, then I'm not leaving either!" 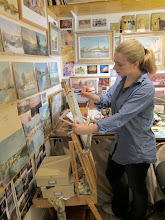 As you can see on the picture below, I put my easel on the little walking path separating two rows of plots. 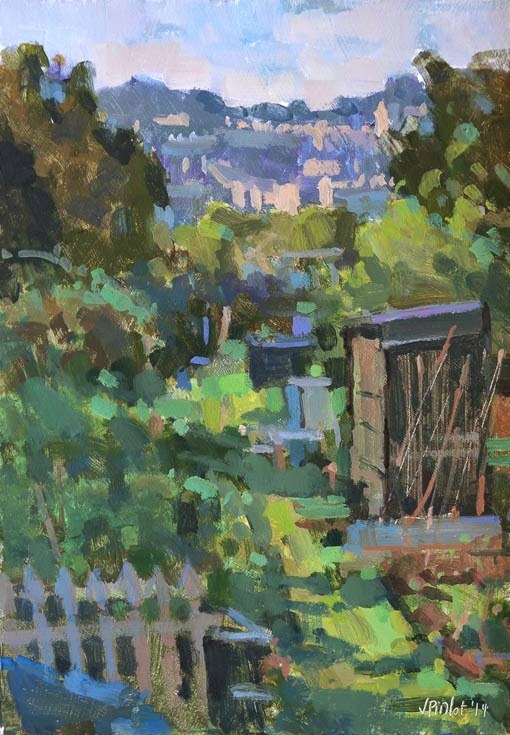 As I was painting this, I got gently told off by a plot owner for standing there as I learned this path wasn't public property (only the large path is public property). I felt like a small embarrassed schoolgirl being sermonised by her teacher... Still, he let me stay there and actually came back chatting to me many times as he admittedly felt remorseful! Thank you David! I'm jealous of your special treats. I'll keep an eye next time to see if there are any generous gardeners around! 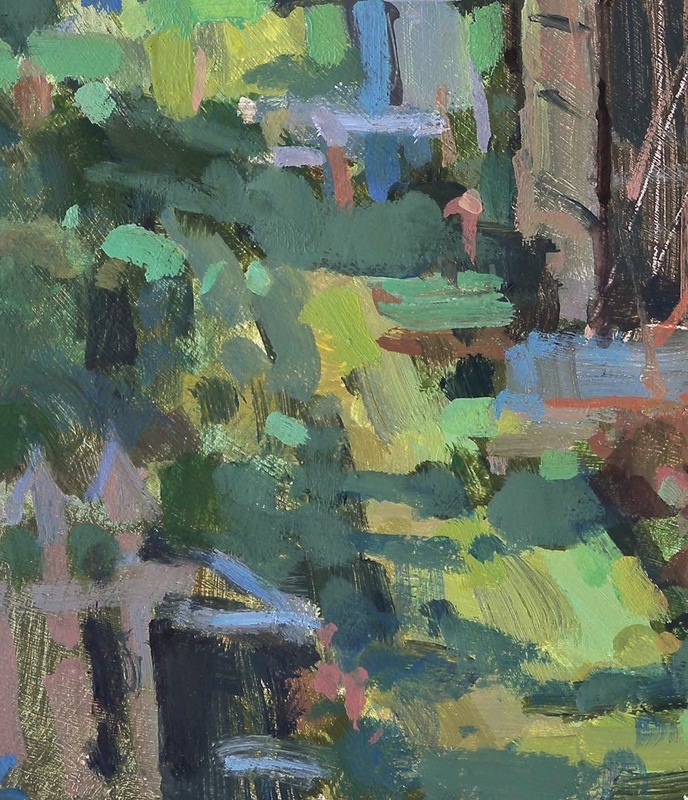 Launch of my Studio Summer Sale!